Enterprise organizations are always looking for the best methods of communication. With the addition of so many new devices into the marketplace, choosing the right solution for your organization can be a daunting and tedious task. However, it might not be as dramatic as you think. 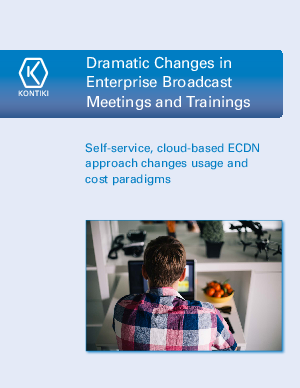 Download this whitepaper to see what changes have happened in the broadcast meeting and training space and see what solution would be right for your organization’s needs.